For more than 15 years, Newmarket Holidays has been providing top-notch educational travel opportunities for students of all ages and levels. Step out of the ordinary, and take your students to explore exhilarating destinations, with curriculum-based tours by Newmarket Holidays. Imagine taking your History students to see Rome’s wealth of historical monuments, or your Art students to experience the shades of modernism in Barcelona. These exciting Newmarket Holidays learning opportunities are quite affordable, so let your passion for teaching guide you to someplace extraordinary. Before you even choose a destination, Newmarket Holidays understands the safety of your students is of prime concern. Newmarket Holidays’ Study Experiences team provides support, from their Safety Management System, round the clock, helping you keep students safe throughout the trip. It is their goal to minimise the workload of every educator when organising a tour. Rest assured that the Study Experiences team will take care of every detail of the arrangements, as well as provide a quality education programme. 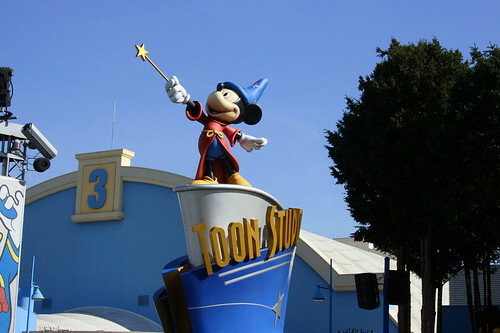 Study Experiences offers educational tours to a wide range of destinations, many of which might surprise you and your students, such as Disneyland Paris. Although each tour is planned to be fun and exciting, it is also designed to facilitate students’ learning outside the classroom, and give them a taste of real-life application of their talents. This educational trip to the Happiest Place on Earth offers all the thrilling rides and attractions your students expect from a trip to Disneyland, but the fun doesn’t stop there. Through established seminar and workshop-based programmes, your students learn about and experience their subject in a real life environment. Students studying anything from Design & Technology, Applied ICT, and Health and Social Services, to Performing Arts, Media Studies, and Leisure & Tourism are taught by leading practitioners in their field. As the UK’s leading provider of escorted breaks and holidays, Newmarket Holidays brings a wealth of experience to the educational tours of their Study Experiences division. Details of their Study Experiences tours, by subject, destination, and study level, are conveniently available on their website. Get in touch with the Study Experiences Team today, and plan an amazing learning break for your students today. The Sports Experiences team and Newmarket Holidays believe that players, coaches and their supporters should have the leisure to focus on their sport while on tour, without the need to worry about travel details. The Sports Experiences team makes all the arrangements with an experienced touch. With the more than 30 years’ experience Newmarket Holidays brings to the guided tour arena, expertise and professionalism are built into every trip. A wide selection of destinations ensures coaches and educators can find a tour that meets their needs as well as budget requirements. Take your students on an organised trip to a major sporting event, expertly planned and organised by Newmarket Holidays’ Sports Experiences team. Trips designed specifically for school and college students include guaranteed ticket availability for the chosen sporting event, comfortable accommodation and special memorabilia of the event for each student. With destinations such as the International Junior Rugby Festival, and the International Youth Festival of Football at Disneyland Paris, as well as hockey, cricket and multi-sports tours available, there is something for every student group. Let the Sports Experiences team organise a tour for your rugby, football, netball, hockey, or cricket team to play on the road at any of the many venues available. Play hockey in Spain, or play cricket at La Manga Club on the Mediterranean. Additional destinations include such exciting locations as Belgium, France, Holland, Ireland, Italy, and Spain. Let the Newmarket Holidays team of sports tour experts organise your school or college team festival, sporting event or tournament today. Not all learning experiences are made up of math problems and soccer games. Take your school or private youth group on the adventure of a lifetime. Rushing rivers, lofty mountains, and precipitous rock faces offer challenges that can only be experienced in nature. A professionally guided Adventure Tour is an amazing way for students to learn new skills and to appreciate the world around them. Engaging in such activities as rafting, rock climbing and backpacking, students learn the important concepts of teamwork, self-reliance and perseverance. Newmarket Holidays’ Adventure Tours take travellers to some of the most extraordinarily beautiful locales the planet has to offer. The Sports Experiences Team at Newmarket Holidays understands that an extraordinary amount of time and work go into organising a tour for any team or group, and they are dedicated to easing that burden, taking on the tasks of planning and making reservations so you have no need to worry. Combining their experience in professional tour arrangements with the very best in sports fixtures for a superior experience every time. Every detail is taken care of, including travel, safety and promotion of your tour. Discover the incredible Sports Experiences opportunities on their website, and rest assured the Customer Service Team is always available to answer any questions you may have. Stepping outside your normal routine and getting away from home can indeed do amazing things for both the body and the spirit. The long-lasting benefits of visiting faraway places are certainly worth the time and expense of getting there, and Newmarket Holidays offers a stunning array of tour destinations to choose from. Even if you lead an exciting life, with a busy job and many friends and social activities in a lively city, there is nothing like the unique experiences afforded by world travel. The truth is, travel isn’t really about leaving home so much as it is about leaving your habits. Travel to foreign countries opens your eyes to other ways people live, giving you a broader perspective on other cultures, and newer appreciation for what you have in your home country. Travelling abroad instils in you an exciting sense of adventure, while giving you time away from your normal routine to relax and de-stress. In fact, your travel experiences may be as legendary as attending the running of the bulls in Spain, or as tranquil as floating on the crystal clear waters of the Caribbean. In every corner of the world, there is something exciting waiting for you, and Newmarket Holidays has just the ticket to get you there. Newmarket Holidays offers tours to some of the world’s most exhilarating destinations, from the majesty of Ancient India to vibrant life of Rio de Janeiro. Newmarket Holidays’ friendly and helpful Customer Service team is available to take care of all the details, and to ensure you receive a brilliant holiday at great value. One of the world’s oldest civilizations, India has much to offer in the way of stunning sights. Ancient cities and awe-inspiring temples, museums, safaris, and the endangered Tigers of Ranthambhore are but a few of the fascinating things India has to offer. A study in diversity, China offers hints of their ages-old civilisation alongside 21st-century glass and steel architecture and technology - creating a country that is truly a wonder to behold. Add a visit to the legendary Terracotta Army of Qin Shi Huang, China’s first Emperor, and a tour of the Forbidden City and such sites as the Temple of Heaven, and your tour of China is sure to be one you will never forget. Whether or not you are culturally minded, travel to exotic places is a tempting form of escape from the drudgery of everyday life. You can’t deny that, when there is a foot of snow outside your front door, you wouldn’t mind swimming in the balmy waters of the Mediterranean. Browse the holiday destinations Newmarket Holidays has to offer, and let the friendly Customer Service Team assist you in booking your tour. Travellers to different parts of Italy are often surprised to discover a country that is unexpectedly diverse, with many local cultures and distinct cuisines colouring the various regions across the country. However, while Italy may not fit all the cultural preconceptions a traveller might have, a classic tour of Italy does provide everything a traveller would expect from a trip to the country. From the hills of Tuscany to Vesuvius,Pompeii and the incredible cities of Florence and Rome, Italy is a remarkable destination that rewards visitors with a holiday they will remember for a long time. Newmarket Holidays, based in the UK, is a leading specialist tour operator that is independently owned. Moreover, the company has been specifically recognised for the quality of its escorted holidays to Italy, having won the British Travel Award for Best Tour Operator to Italy and Malta in 2012. This specialist tour operator offers escorted holidays to Italy that cover most of the essential Italian sights while providing comfortable accommodation and transportation. One of the escorted holidays provided by the company is a classic tour of Italy that is suitable for any kind of traveller and can be done in such a way that customers will see real value for money. Beginning in a town overlooking the Bay of Naples, travellers can head toward the stunning Vesuvius and the remarkable, world famous and completely unique ruins of Pompeii. The trip then goes forward to Chianciano Terme, a popular spa town that has attracted visitors for centuries. Of course, no trip to Italy is complete without at least a day in stunning Rome, both a modern and sophisticated city with great shopping and dining, as well as it being full of ancient monuments. The Vatican City is also well worth visiting. Other than Rome, there is also the beautiful city of Florence to visit, known for its flair, its charm and for its remarkable Renaissance history. In Florence, the marks left by Botticelli, Michelangelo and Leonardo da Vinci as well as other great artists are everywhere. With medieval streets and great architecture to add to its distinguished history as an artists’ haven, Florence is a must see. Travellers to Italy will experience a multi-faceted and complex country. Its people, food and culture have much to offer travellers, while the abundance of major historical and natural sites within the country explains its popularity as a travel destination. Whether a traveller is looking for art, culture, history or natural beauty in Italy, he or she will surely find it. Newmarket Holidays is a leading UK holiday specialist. The company has been providing quality escorted holidays to customers since 1983, initially focusing on coach trips in the UK and in Europe. The company has since expanded and now offers escorted holidays to the USA,Canada and South America, as well as exotic Asian destinations. This leading specialist tour operator has gathered over 30 years of experience in the field and has become highly knowledgeable about finding the right travel arrangements and the right accommodations for its customers, as well as quality plans and itineraries that help bring destinations to life. Travellers with Newmarket Holidays will experience comfortable travel and accommodation, as well as learn a great deal about their destinations thanks to the services of a professional and friendly Tour Manager. Newmarket Holidays arranges travel only with reputable airlines and hotels. When possible, Newmarket Holidays works with established hotel chains. Otherwise, it arranges comfortable accommodation at well-regarded local hotels. Newmarket Holidays has won prestigious industry awards, including British Travel Awards for its service to customers. It has gained attention in particular for its escorted holidays to Italy and Malta. The holidays to Italy demonstrate Newmarket Holidays’ commitment to providing a fascinating and enthralling journey to any of the destinations it covers. With arrangements taken care of and a Tour Manager present, customers will get genuine value for money. Moreover, Newmarket Holidays customers can benefit from the combination of included and optional excursions. This gives travellers some much needed flexibility in choosing whether to have more free time or to explore more of the destinations at fair rates. Newmarket Holidays has earned recognition as one of the largest independently owned tour operators based within the United Kingdom. It is, further, the leading provider of ‘Reader Holidays’ to the UK newspaper industry, and provides dedicated service for group travel arrangements. Newmarket Holidays is currently offering truly exciting travel opportunities as part of its Faraway Collection of holidays. These holidays feature travel opportunities to some of the most desirable, exotic and enthralling destinations on the planet. Newmarket Holidays now has escorted holidays to the likes of Japan, Brazil, China, India, Argentina, New Zealand, Cambodia, Vietnam and Thailand. These are all countries known for diverse and remarkable cultures, as well as for natural beauty. Newmarket Holidays customers have the opportunity to explore these countries’ compelling histories and cultures in an easy and comfortable way, truly bringing the destinations to life. Turkey is a destination that has been consistently developing its tourism industry and its tourism infrastructure. Over the last few years, Turkey has emerged as a highly regarded destination for visitors and the number of travellers has been rising to a significant extent. Part of the fascination with Turkey is that it is a country that confounds the preconceived notions of travellers. With its immense—and immensely complicated— history, Turkey is not easy to pin down. It is increasingly a Westernised country, with its sophisticated and charming capital city of Istanbul demonstrating its modern side but nevertheless featuring major historical sites. It is, on the other hand, a country with a rich, a vibrant mix of influences from farther East as well, due to its imperial history. Turkey is secular but religion also plays a significant role in its cultural identity. Westerners can enjoy the comforts of modernity and Turkey’s exotic pleasures. Often, these will be footsteps away from each other as in Istanbul. Within Istanbul and away from it, Turkey offers a rich diversity of opportunities for travellers to witness archaeological sites, ruins and artefacts of the glorious past. Its important geographic location, a bridge from Europe to Asia, from West to East, means that Turkey can claim to be home to more Ancient Greek ruins than Greece itself as well as more Roman sites than Italy. Reminders of the Ottoman Empire’s fascinating past are also found in much of the country, and there are Byzantine artefacts as well. Turkey is not free of creature comforts by any means. In fact, Antalya by itself has more resort hotels than the entire Spanish coast does. The country has developed a great deal over recent decades, not only working to preserve its cultural history, but also to develop into a truly modern and sophisticated destination. Travellers will find comfortable accommodation, delicious food, excellent infrastructure and a variety of historical and sacred sites that fascinate with the power of their beauty and heritage. After that, they will be able to rest and relax in true comfort, preparing for the next day in this enthralling country. UK specialist tour operator Newmarket Holidays offers escorted holidays to Turkey that covers many of the country’s most remarkable natural and historical sites, including the capital Istanbul. The company’s escorted holiday features comfortable accommodations as well as the services of a professional, friendly Tour Manager.